for the kids. This year we will have a selfie booth and a Wine Garden showcasing local wineries. 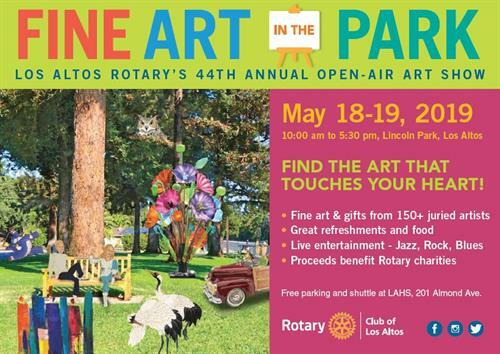 100% of the profits from the art show benefit local and international Rotary charitable projects. Come and find the art that touches your heart. ? Free shuttled parking at Los Altos High School. and Gardner-Bullis.